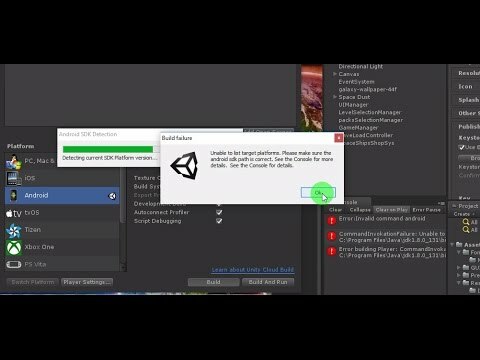 In this video, I will Be showing you how to fix unity Unable to list target platforms. When trying to build Android Game apk in Unity5. thanks !! my Android Studio download much objects and nothing in my unity, and before build my apps god, but 3 days ago upgrade android stuidio and unity no building , sorry for my bad inglish but I'm Mexicano , xd saludos buen video sub y like !! it didn't work in my pc.please help me i am trying to solve this from last 3 days.